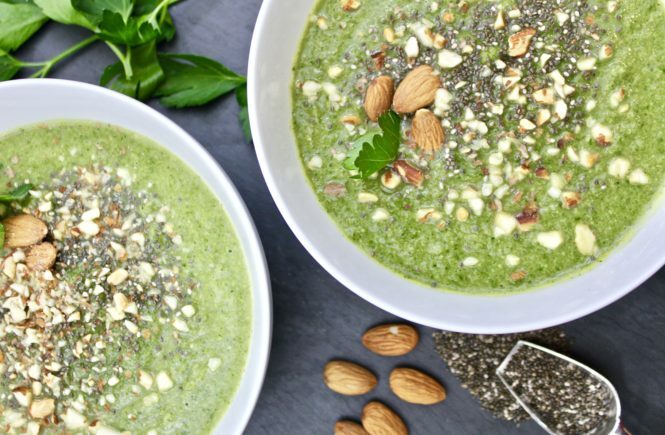 Green Detox Soup – YUM! 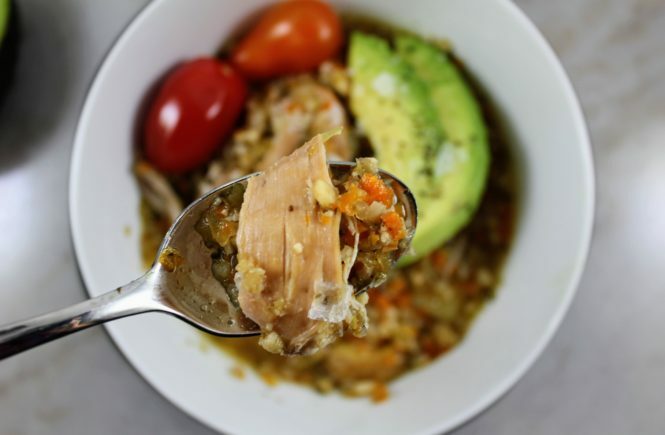 This soup is light, delicious and a perfect side to add more veggies into your day! It’s also paleo friendly and whole 30 compliant! 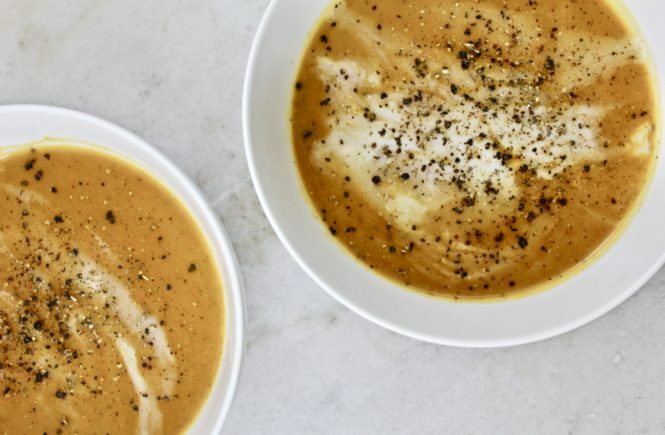 Ah, healthy soups – I love them! I love that they make the entire house smell good for hours (and taste delicious)! 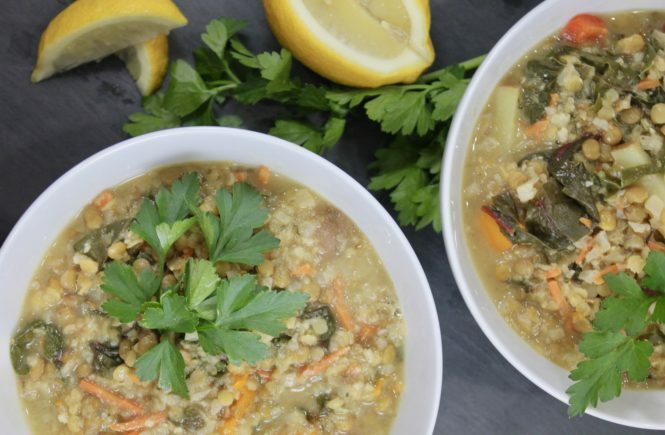 This Swiss Chard and Lentil soup is really easy to make, the hardest thing is chopping all the veggies. And, yes, it’s meatless but filling so you will not be hungry an hour after dinner. It has been so cold in Reno lately, I keep turning the heat up in our house. I think we started winter at 68 degrees and right now both upstairs and downstairs are at 72 degrees. The problem is that it’s STILL cold in the house! Also, isn’t 72 the recommended temperature where most people are happiest? I am not sure I am happy when I’m cold all the time inside my house. Anyone else with me?